One of MLB’s best teams is guaranteed to be out of the playoffs just a day after the postseason has officially begun. The Chicago Cubs (94-65) and Pittsburgh Pirates (96-63) will meet in Wednesday’s National League Wild-Card Game to determine who will face the St. Louis Cardinals in the NLDS. Heading into the final weekend of the 2015 MLB season, the two wild-card teams are poised to finish with baseball’s second and third-best records. Pittsburgh is in the driver’s seat to have home-field advantage in Wednesday’s contest, but there’s still a chance the game will be played at Wrigley Field. Trailing the Pirates by two games with three left to play, the Cubs own the tiebreaker with Pittsburgh, having taken 11 of 19 in the season series. Leading the closest wild-card contender by 11 games and trailing the 100-win St. Louis Cardinals in the NL Central, the two teams have known they were headed for this matchup for a while. It’s allowed them to adjust their rotations so they can pit their aces up against one another. Jake Arrieta and Gerrit Cole are almost guaranteed to meet in a battle of two of the NL’s best pitchers. They rank No.1 and No.2 in the majors in wins, and they have two of the NL’s top four ERA’s. No pitcher has been better than Arrieta since the All-Star break, and he’s certain to get his share of votes for the NL Cy Young award. He has a 0.90 ERA in the second half of the season, allowing a .151 batting average to opposing hitters. Pittsburgh knows all too well about how well Arrieta has pitched. Two of the pitcher’s last three starts have come against the Pirates, and he allowed just one run and seven hits in 15 total innings. 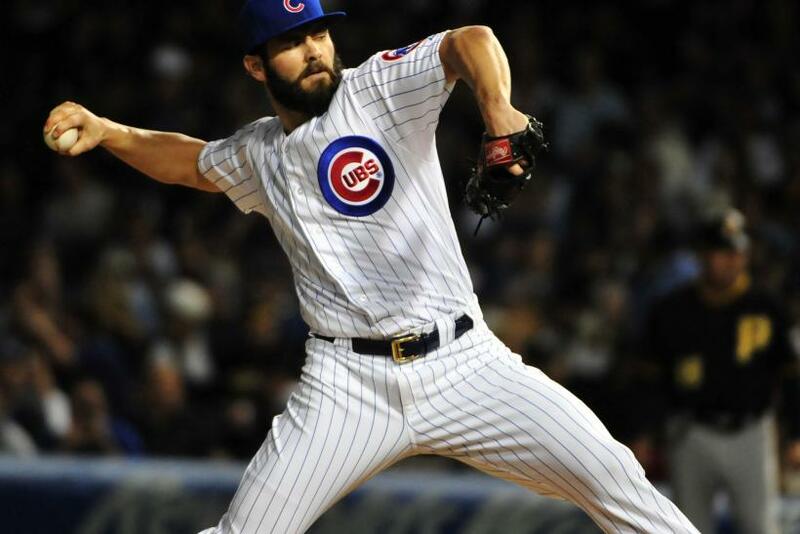 On Aug. 4, Arrieta shut out the Pirates in Pittsburgh, surrendering just two hits in seven innings. It isn’t just Arrieta who’s been great against the Pirates. Chicago’s top hitters have raised their games against Pittsburgh, as well. First baseman Anthony Rizzo, who leads the team with 30 home runs, is hitting .352 with a .986 OPS against the Pirates. Pittsburgh pitchers have struggled to contain rookie third baseman Kris Bryant. He’s hitting .400 against the Pirates with a .494 on-base percentage and a .557 slugging percentage. Cole hasn’t been quite as good, but he might be a top Cy Young candidate in most other years, going 19-8 with a 2.60 ERA. He beat Chicago with a seven-inning, one-run performance on Sept. 25, though the Cubs did manage to score four runs against him on Sept. 15 in Pittsburgh. Andrew McCutchen, Pittsburgh’s top bat, has just a .222 average against Chicago. Catcher Francisco Cervelli leads the team with a .299 average, and he’s hitting .321 against the Cubs. Pittsburgh and Chicago have been led by their pitching all year, ranking second and third, respectively, in NL team ERA. The Pirates rank fifth in runs, and the Cubs are seventh.